Paulo Oliveira, EA, MBA, President of Eagle Tax Representation, Corp has worked as Accountant for large Corporations like Companhia Cervejaria Brahma, Ford, Ford New Holland and his latest position before start Eagle Tax Paulo was the manager for the Accounting Department for a Public Company Streicher Mobile Fueling located in Fort Lauderdale, Fl. Oliveira got his MBA in Accounting for over 3 years, as well as his Bachelor Degree in Accounting back in 1992 and since then has been working in the accounting and taxation area. Also, in USA he passed the highest level of training within the tax preparation recognized by the United States Internal Revenue Service and become an Enrolled Agent. He also taught classes in taxation for HR Block. We provide international and domestic tax preparation and representation, full payroll services, audit representation for Federal and State issues. Accounting degree in Accounting Science from Faculdade Catolica de Administracao e Economia – FAE in 1992. Enrolled Agent Certification (EA) from Internal Revenue Service in 2004. Certificate in Church Management in 2007. Accounting degree from Devry University in 2013. Master in Business Administration (MBA) with major in Accounting from Devry University in 2014. 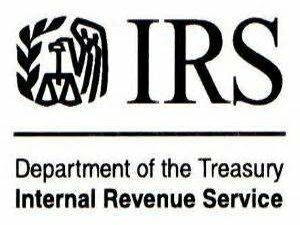 Certified Accepted Agent (CAA) from Internal Revenue Service in 2016. Tax Instructor for large Corporations like HR Block.